1. 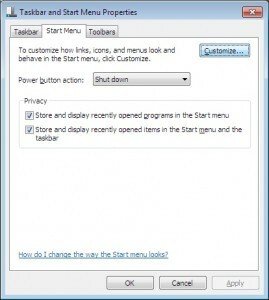 Click on Start(Windows 7 Orb) >> right click on a empty space on the Start Menu and select Properties. 2. 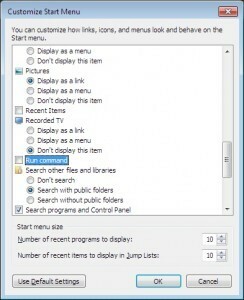 Now click on the Start Menu >> then on Customize…. 3. Scroll down and select the Run Command box >> OK >> Apply >> OK. Submit Your Favorite Tip for your chance to win $100. tips Box, isnt, ok pc, Orb, PC Pitstop, Start, start windows, Week, win 7, windows7. permalink.